On our team’s most recent trip to Ghana, we had the opportunity to take a private yoga class! 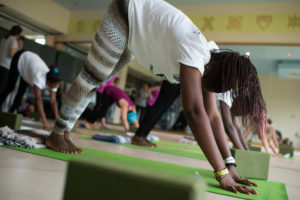 Bliss Yoga hosted the women from our team and the oldest Touch A Life girls who live and study in Accra. The studio owner, Nana, created a wonderful experience for our group, so we asked her to respond to a few questions and share her story with you! Can you tell us a little bit about your story, how you came to live in Accra, and why you opened your yoga studio? Originally from Ghana, I lived in New York City before moving to Accra with my husband and 5-year old daughter. I spent many years in the banking and legal industry. I’ve worked in many stressful deadline driven environments. However, yoga has been a part of my life for the past 18 years, it’s always been sort of a lighthouse for me. Yoga is the type of practice that can really balance your heart and mind. After years of practicing I received my teaching license before moving back to Ghana. How did you connect with Nancy, Rachel, and Touch A Life? I have known and admired Nancy Borowick, as a photographer for years. 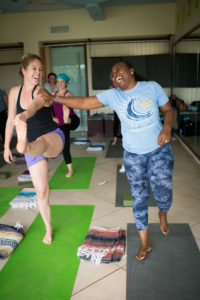 On her recent trip to Ghana, we connected again and the idea to bring Touch A Life to Bliss Yoga became a reality! Can you describe the class that you lead for our team and teenage girls? The class was wonderful. Throughout my professional life, I have always searched out opportunities to work with young women. It’s so important to empower young girls. Cultural challenges do not make it as easy for girls here to get ahead. We must show our girls that they have potential to be great. 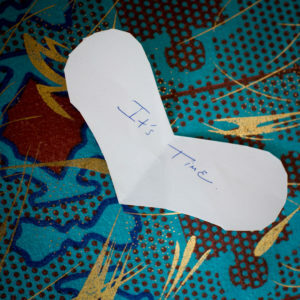 The yoga session built on a theme they are familiar with, “It’s Time.” For them, my message was, it’s time to shine. 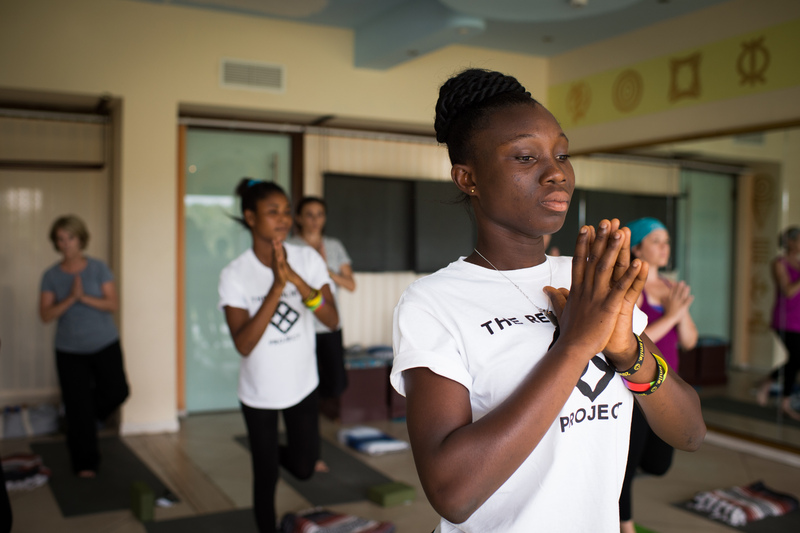 How do you see yoga as a way to bring healing to young people who have been exploited? Yoga is meant to heal – and it does. The body and mind – It has served me so well over my journey. It gives one the chance to take a look at oneself on the inside and out. Young people who have been exploited, can use yoga as an avenue to come to terms with the past – and move on. Can you tell us about any plans in the future to work with Touch A Life or any other non-profit organizations? The Bliss Yoga team hopes to come to Kumasi in August and host a class/workshop with Touch A Life. We regularly are invited to speak and hold sessions with various groups. Our aim is continue to encourage people to talk about wellness and focus on their health.